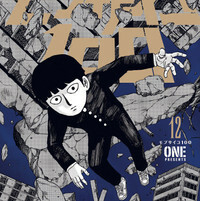 Warner Bros. Japan has published a new look at Bones' (Blood Blockade Battlefront, Space Dandy) summer TV anime Mob Psycho 100 with a commercial for the adaptation of the manga by ONE, best known as the author of the original, self-published One-Punch Man. Setsuo Ito stars as Kageyama "Mob" Shigeo, a psychic 8th-grader who tries to stay unnoticed and unexcited to avoid causing problems with his powers. Takahiro Sakurai is Mob's fraud psychic mentor, Reigen Arataka. Death Parade's Yuzuru Tachikawa directs with Seraph of the End's Hiroshi Seko writing and One-Punch Man animator Yoshimichi Kameda on character designs. Ghost in the Shell composer Kenji Kawai is on music. New vocal unit MOB CHOIR performs opening "99" along with Heavy Object's ALL OFF on ending "Refrain Boy."